The host was incredibly nice and made us an excellent breakfast. Honestly, we haven’t met better host. Villa Pasyon is a very nice place to stay. You live in an extraordinary great wooden house. An incredible place. It is well equipped and very big. You will find everything to help yourself. Annie and her family are so helpful and kind that you feel like a part of the family. It was very nice to get the excellent breakfast in the morning. Rex is a very good cook for creole food. We enjoyed the dinner very much. The children loved the five giant tortoises in the garden. Big fighting George was very impressive. 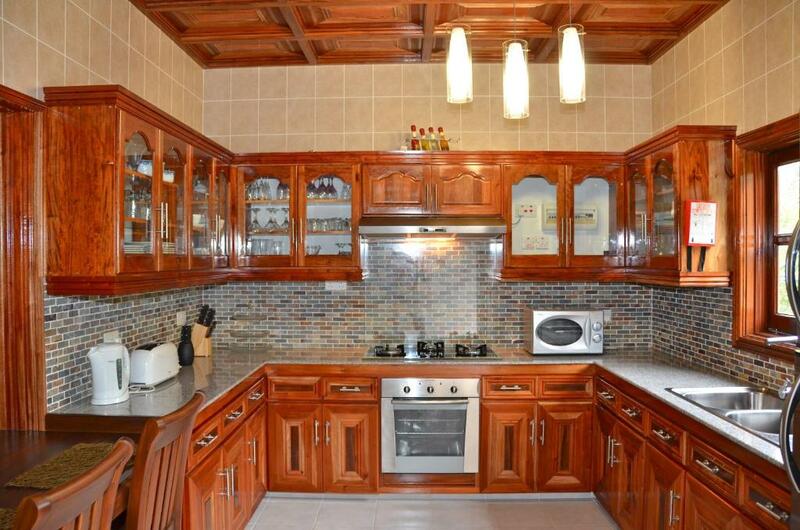 Big villa with well equipped kitchen. It is quiet. There is a big garden with different fruits. It is fantastic to pick up fruits by ourselves, and the fruits are sweet. The house owner Annie is kind, enthusiasm and helpful. The villa is closed to Anse Source d' Argent and Grand Anse. 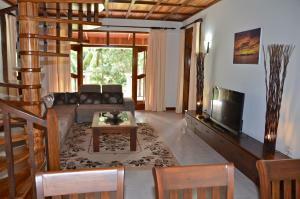 If you are looking for a wonderful villa in La Digue. We strongly recommed this one to you. This Villa is absolutely spectacular, with the most stunning carpentry work by the owner. Very spacious and comfortable with everything you could possibly need for a lovely stay in La Digue. The location is towards the interior of the island in a lovely quiet area. It's close to everything on a bike (10 minutes max to any destination on the island) and just so nice to ride around the quiet streets. The villa is made even more surreal by the presence of several giant tortoises! 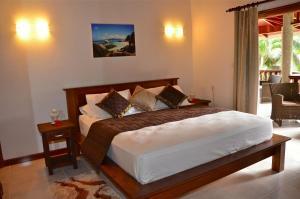 I really recommend anyone visiting La Digue with a family or group of friends to stay here! We were in June for four days there. the people there are very nice. one of the highlight was the home made creole food. if you don't try it, you miss a lot. our very special thanks to the owner team for your great help and hospitality. 100% recommended. Wifi, TV, entraten, Bicycle. everything works excellent- The communication and readiness to help was amazing. Thank you very much!!!!! Location of the property. Apart from that, it was better to spend the time outside of the property as much as possible and come over only for the night sleep. Гостеприимные хозяева. Бесплатно предоставили велосипеды, угощали фруктами со своего сада. Les vélo à dispositions même si il y a avait un petit supplement. 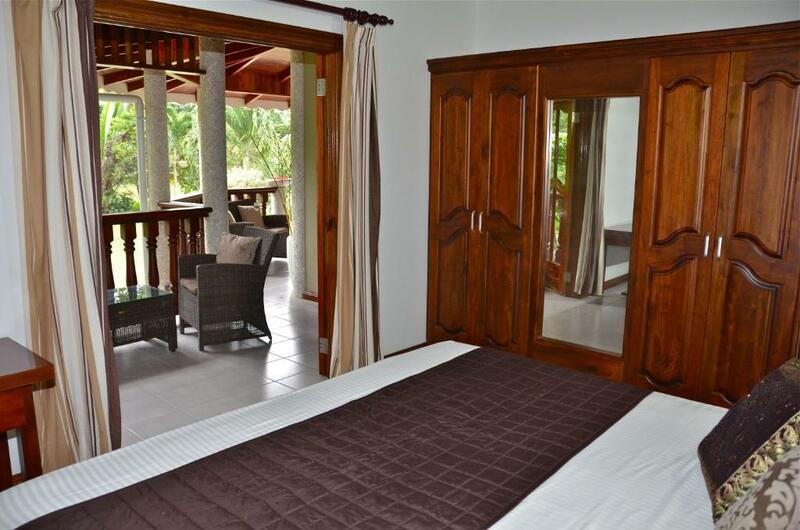 Lock in a great price for Villa Pasyon - rated 9 by recent guests. Boasting garden views, Villa Pasyon is set in La Digue, around 0.7 miles from Union Estate Park. Housed in a building dating from 2013, this villa provides free WiFi. 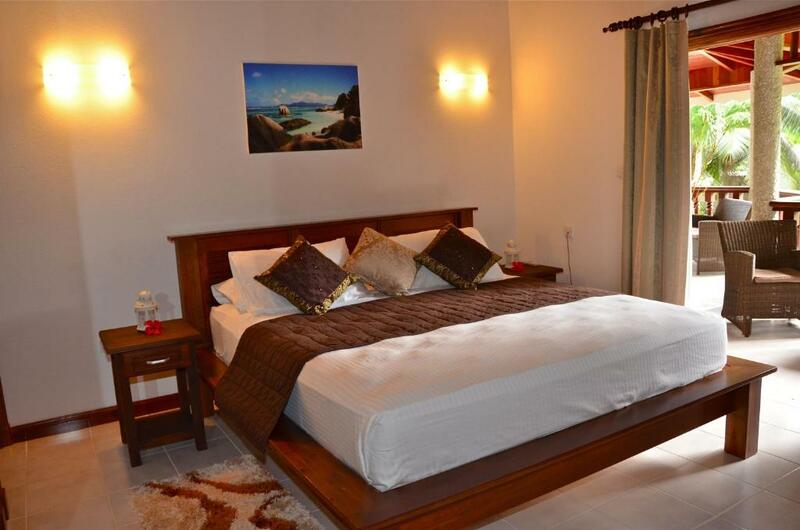 With direct access to a balcony, this air-conditioned villa comes with 5 separate bedrooms. 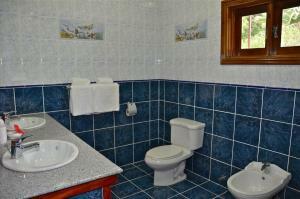 The accommodation is equipped with a kitchen with an oven and a microwave. The villa offers a terrace. If you would like to discover the area, cycling is possible in the surroundings and a bicycle rental service can be arranged. 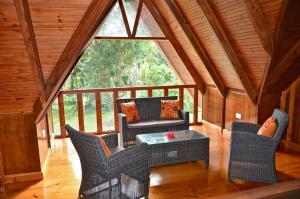 This property is also rated for the best value in La Digue! Guests are getting more for their money when compared to other properties in this city. Villa Pasyon has been welcoming Booking.com guests since 9 Jun 2016. When would you like to stay at Villa Pasyon? Villa Pasyon was passionately built by the owner himself (DAD)and it holds great sentimental values to the whole family. A stay at the villa is one which you will never forget as Mr and Mrs choppy will provide you with an excellent service. The uniqueness of the place is simply an experience worth having. Our main aim is to ensure that our guests leaves Villa Pasyon with an unforgettable experience. It is our utmost pleasure to prepare exotic creole food for our in villa guests upon demand. Excursions to nearby islands can be organized by the family boat. The environment offers complete privacy and tranquility. The most beautiful beach of Anse Source d'argent and Grand Anse is only 10 minutes ride. Guests can rent bicycles at 100 rupees at the villa. House rules Villa Pasyon takes special requests - add in the next step! Please inform Villa Pasyon in advance of your expected arrival time. You can use the Special Requests box when booking, or contact the property directly with the contact details provided in your confirmation. 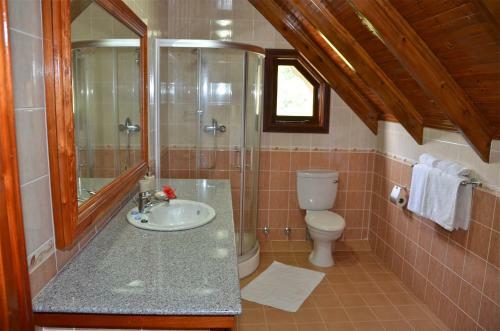 The worst accommodation experience on our multiple trips to Seychelles, La Digue. There is several reasons to support and hereby naming a few: the host is interested only in getting paid and that is since the first meeting (we are asked to pay cash, while the ATMs do not even allow for such a withdrawal on La Digue and hence need to go daily to ATMs to get to the total amount in cash !). The wooden house is pretty, while it is an open house that was dirty from outside and inside, with a lot of ants and other animals within the house and specifically in the kitchen. Air conditioning in the kitchen and main hall not available (because it is an open house), so the stay during cooking or even the night are simply unbearable due to heat. On top of all of this the garden is a total mess with construction of swimming pool going around and not a single $ discount for this discomfort. We have therefore tried to spend as much time away from the property, so that our stay remains positive from the surroundings and beautiful nature there. Would not recommend and would never return, this is also due to unpleasant host and a biggest disappointment to us. Hard to find something negative - they don't take credit card, so aggree on payment terms in advance. The villa is a masterpiece of woodwork, combining top infrastructure that meets highest european standards (the kitchen is awesome!) with local construction elements. The first floor is entirely made of wood and I liked best the opening to the outside with the extended roof - it's always open but always stays dry. I enjoyed sitting on the sofa there and reading while it rained outside (on the photos there is garden furniture, they replaced it with 2 sofas). In front of the house there is a beautiful garden with giant turtles that live there and trees where you can pick fresh fruit. The house is in a very quiet, green and natural area of the island. With the bicycles we rented from our landlord/lady (new and in perfect condition), we could easily do our daily trips to all parts of the island. The landlord/lady were always very helpful, helped us organize trips and helped out where they could. We even found the dishes washed up and the house cleaned 2 times when we got back home - I've never had that in a rented house. It was by far the best holiday accomodation I've ever had! The host "Lauretta" was not at all flexible. Never went out of the way to help us in any way. We requested for a late checkout and this was flatly refused. Since the villa had 5 rooms we asked for only 1 room to be provided just for us to change after a hike. This was also refused saying that all the rooms are fully booked and the guests are arriving early. When we came back after the hike our luggage was kept outside on the verandah and there wasn't a single person who had arrived still she did not even want us to come inside. All we expected was a little courtesy. Very dissapointed with the host although the villa was quite nice. The villa was very spacious and extremely clean. Nothing. Thank you Rick and Annie for a lovely stay!